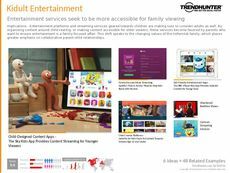 Find Better Ideas, Faster ® with a custom TV trend report, our PRO Dashboard and 80+ categories of premium trend reports. 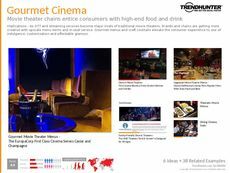 The TV Trend Report assesses the latest trends in the television industry. 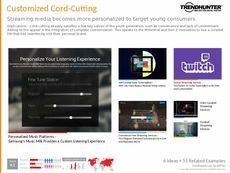 Trends discussed in this report are direct consequences of the cord-cutting revolution, where consumers abandon traditional cable companies for less expensive and more versatile streaming services. 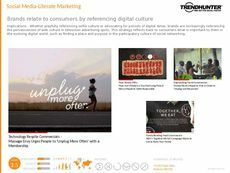 In addition, the online world, network websites and YouTube have become common destinations as television alternatives. With this in mind, Smart TVs were released to further integrate these platforms and services and cater to the new age of television consumers. 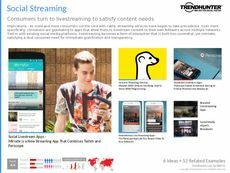 This report targets television studio professionals, television executives, app developers and streaming service professionals. A growing consumer preference for personalized and tailored entertainment options has began to pervade, forcing the television to quickly adapt to this change. Use our report to better understand the ever-evolving television consumer. 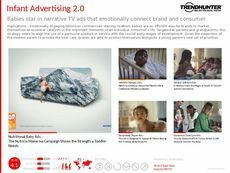 The TV Trend Report is a collection of the latest trends in the ever-changing television landscape. Our research can be used to stay ahead of the curve, and better predict the direction of this volatile industry.